New England fall colors are arriving in usual bold fashion in the mountain regions. But what does it mean when colorful fall foliage begins arriving early? Is it a sign of climate change? While early fall color might seem like a thing of beauty, some scientists think it may be an indication that trees are responding to climate change. Changes in long-term weather patterns, such as very hot summers and drought, can cause stress in trees, and that can result in the appearance of early fall color. Hot weather and dry conditions may also mean the arrival of new pests and diseases and the local extinction of certain tree species. When we think of fall foliage colors, many of us automatically think of a scene of bright red, yellow, and orange trees standing in the hills and valleys of New England. But we can’t forget about the beautiful fall colors the West offers, too! What a beautiful video of the fall colors in Colorado! As we see, nature’s fall beauty can be seen in many parts of the nation! 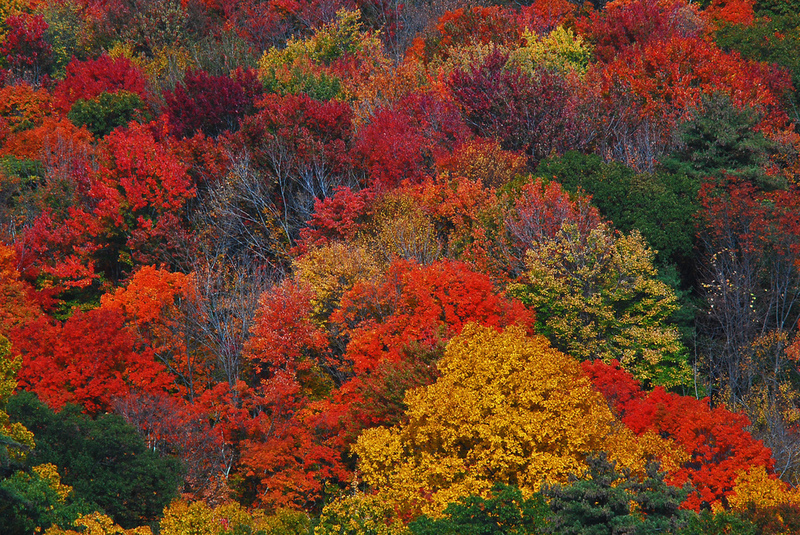 Here’s more about fall foliage. See find out why the leaves take on such brilliant colors in the fall and also how you can track the color changes so you can plan trips to view the beautiful leaves in person!